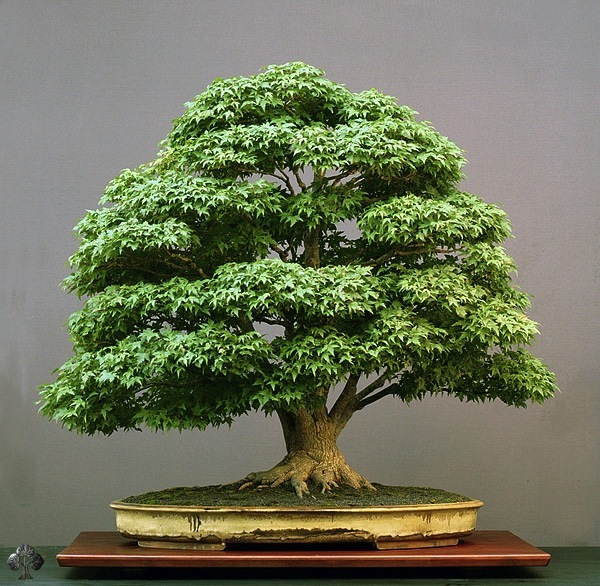 A remarkable tree which is well known for its extremely high age; the tree is reported to be over 800 years old, one of the most expensive Bonsai trees! 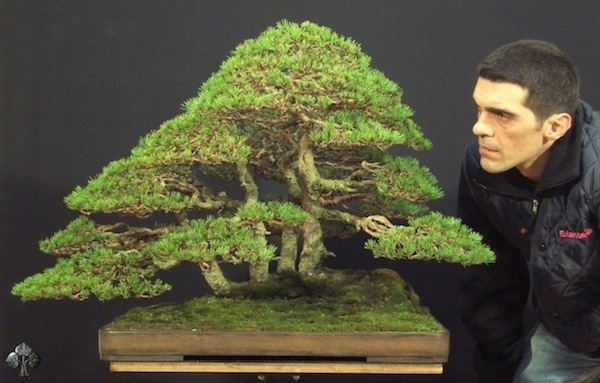 Its owner, master Kobayashi, is one of the most well known Bonsai artists in the world and has won the prestigious Prime Minister award in Japan 4 times. 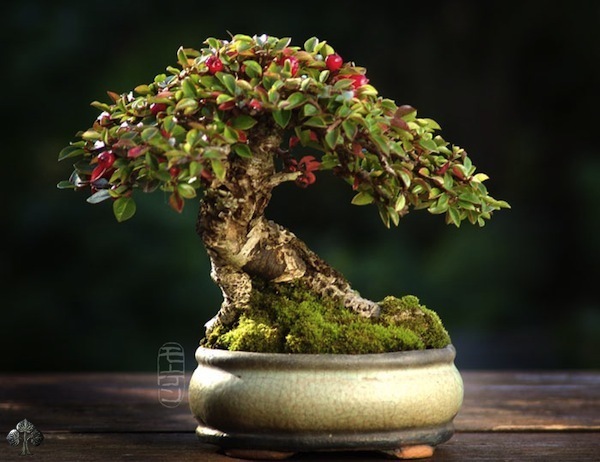 Goshin (“protector of the spirit”) is a Bonsai created by John Y. Naka. 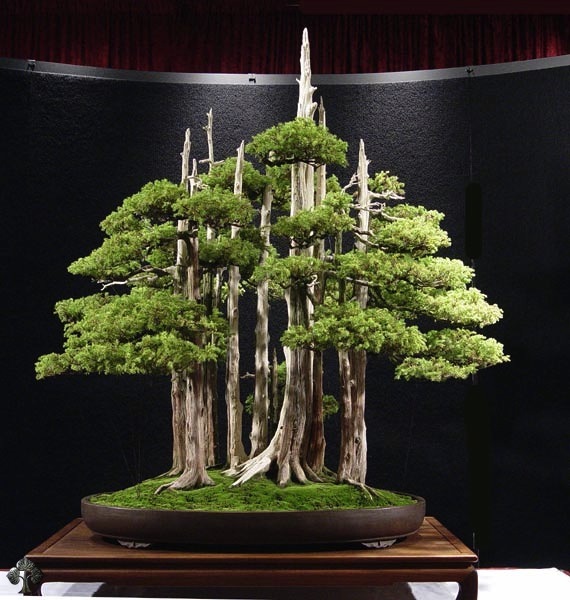 It is a forest planting of eleven Foemina Junipers, the earliest of which Naka began training into Bonsai in 1948. 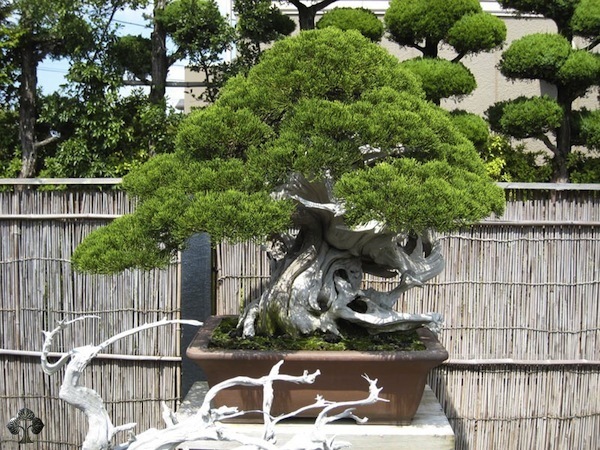 Naka donated it to the National Bonsai Foundation in 1984, to be displayed at the United States National Arboretum; it has been there ever since. 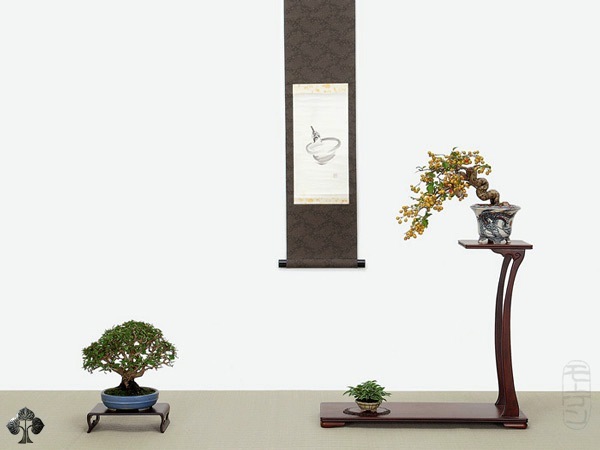 This tree is remarkably realistic, a character highly valued for Bonsai trees. As you can see, the foliage pads are very dense, as if it were clouds in the sky. 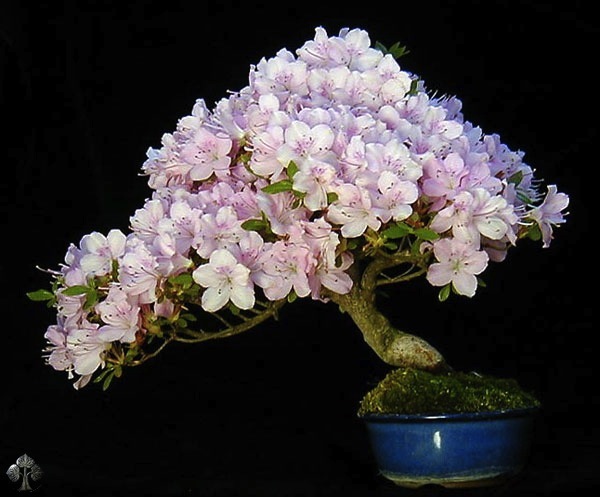 This tree is an Azalea species of only 14 cm (5 inches) high. The picture is taken in late spring / early summer, the moment when Azalea trees bloom (shortly, but very vividly!). The tree is planted in a Japanese pot. This tree is grown from a small cutting and the result above is a picture taken 12 years later. 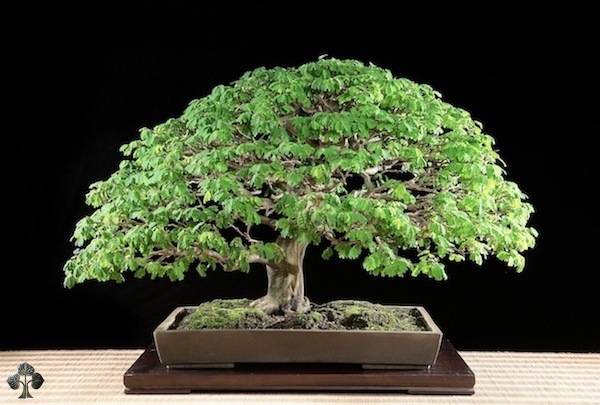 A native of Central- and South America the Brazilian Rain tree is considered one of the tropical world’s most beautiful and also one of the most popular Bonsai subjects. 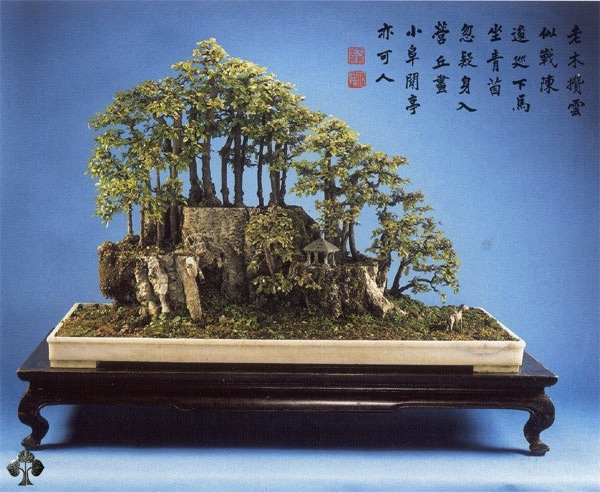 One of the most famous Bonsai trees that belongs to the collection of an European Bonsai artist (Walter Pall), this tree is incredibly fine and realistic. The maple is big (almost a meter high, which is the maximum to be called a Bonsai tree) and over a hundred years old. A masterpiece without doubt, styled by an inspiring artist! This entry was posted in Garden, Gardening by jordan1. Bookmark the permalink.